Let's give the thyroid some credit. After all, the gland is "one of the engines of the body," producing hormones that help to regulate everything from body temperature and weight to skin and hair health to energy level and mood, Caudle says. So understandably, "when that's off, you're off," says Dr. Charles Sophy, a psychiatrist in Beverly Hills, California. For example, an overactive thyroid can make you feel on edge or jittery, while an underactive thyroid can make you feel unmotivated or depressed, although both can contribute to a low mood. 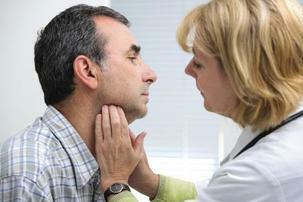 A simple blood test can help identify if a thyroid problem is to blame for your distress.